May 11, 2016, Keelung, Taiwan - Lian-Li Industrial Co. Ltd announces the PC-O9 chassis, the latest in its esteemed O-series open-air chassis. This new mid tower case features a distinctive dual-compartment design: one side uses all-aluminum panels, the other is wreathed in beautiful tempered glass. 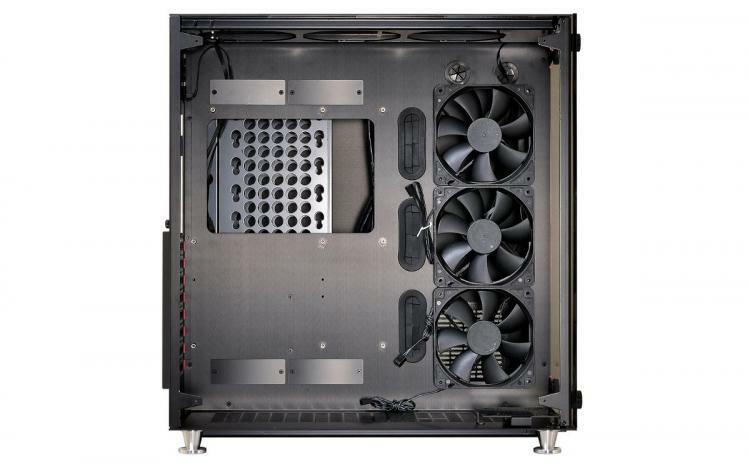 The PC-O9 is split into two sections for optimized cooling, organization, and style – it’s like two different cases fused together as conjoined twins. Similar to the PC-O8, the primary compartment uses two large tempered glass panels spanning the sides of the case to showcase the motherboard, VGA cards, and overall flashiest components. The secondary compartment houses the PSU and drive rack in a windowless aluminum exposure. Both compartments are separated by a band running down the middle of the chassis, which contains the inputs and power button. No other case lets builders isolate different components into organized compartments to this degree. The PC-O9 has the most flexible cooling layout in its series. 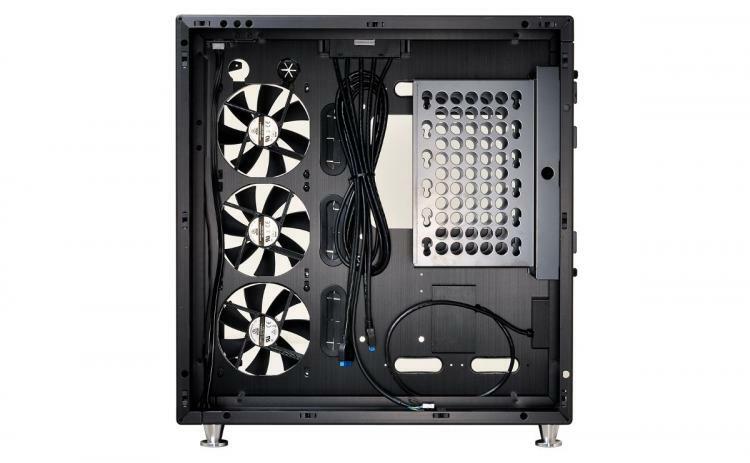 It includes five 120mm fans – two exhaust fans behind the drive cage and three intake fans mounted between the compartments. The top panel in the glass compartment has three additional 120mm fan mounts; both top and bottom panels include removable mesh dust filters in this compartment. Water cooling enthusiasts can install up to two 120mmx360mm radiators, one replacing three included 120mm fans and another at the top panel in the glass compartment. To maximize space, builders can hide a radiator in the aluminum compartment, with rubber grommets for all-in-one tubes to pass inside the glass compartment. DIY enthusiasts will appreciate an included, removable mounting plate compatible with most pumps, with plenty of room in the back aluminum compartment for reservoirs and tubing. The PC-O9 mounts VGA cards up to 420mm long, or 290mm with a thick radiator on the front fan mount, ATX PSUs up to 290mm, and CPU coolers up to 160mm tall. It offers eight expansion slots for high-end multi-GPU setups. The removable drive cage is tucked out-of-sight in the aluminum compartment and mounts as many as six 3.5” and two 2.5” drives for a total of eight, all mounted on rubber vibration dampeners. An included RGB lighting kit and controller is pre-installed, so builders can put together a clean, LED-lit professional-quality build right out of the box. The PC-O9 will be available in Mid-June in two versions for £349.90: the PC-O9WRX in black with red highlights and the PC-O9WX in all black. 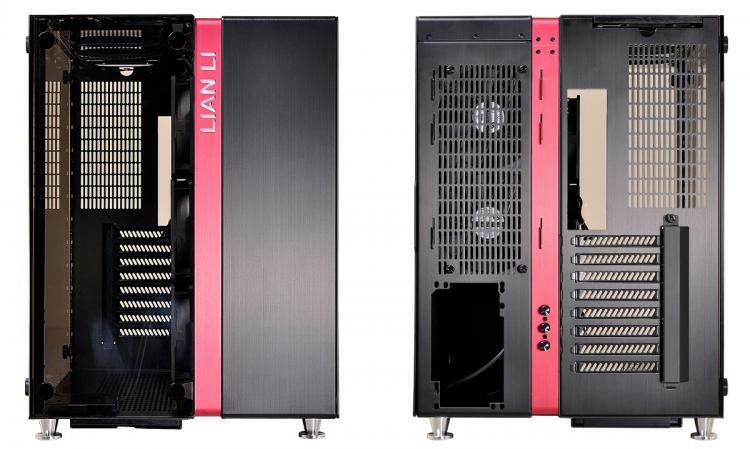 Additional images and technical information for this chassis can be found at http://www.lian-li.com/en/dt_portfolio/pc-o9/.